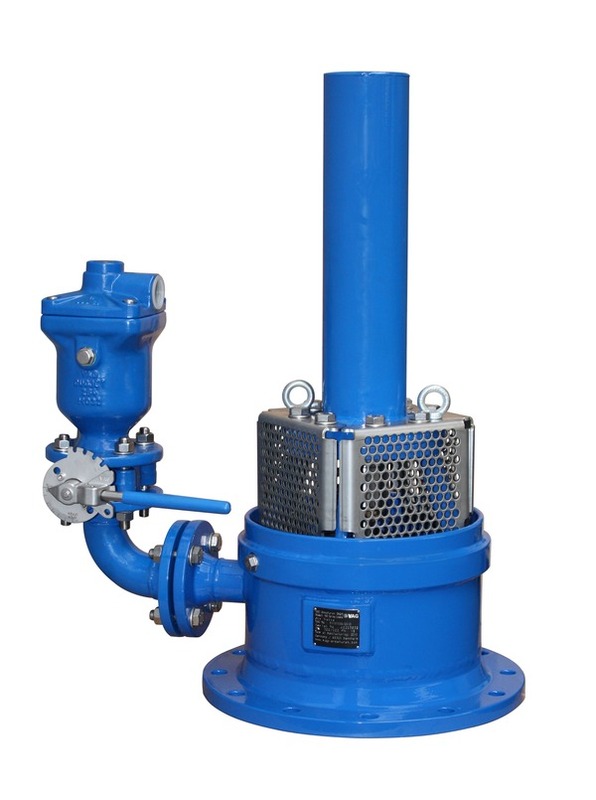 Spring-loaded air valve with very high venting capacity for rapid discharge of the medium present in the pipeline, for air release when filling the pipeline and during operation. Large cross-section for venting large amounts of air during fast switch-off procedures, rapid discharge or pipe bursts. Used in bottom outlets, barrages or dams, long-distance pipelines or downstream of large butterfly valves. The integrated friction damper reduces the speed of the closing movement and thus pressure surges. Our experts will gladly answer your questions and support you competently and reliably!